Arid Timber Art is a favourite at Perth Makers Market for its display of sculptured timber homewares. Each piece is unique in its design, with obvious workmanship and passion applied to each individual product. Founder of Arid Timber Art, Bob Mackie starts his day at 5:00am when he feeds his chooks and takes time to listen to the birds in the trees at his home in Chittering. By 6:00am Bob is in his workshop constructing products from Australian timber including Blackbutt, Jarrah and Tuart. 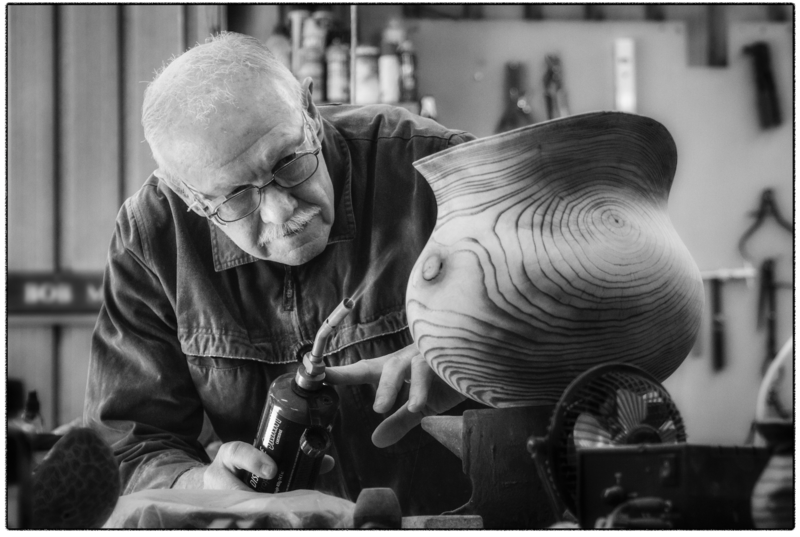 Bob descends from a long line of woodworkers. His grandfather was a woodworker and had six sons who all worked in the family business. Each of these sons who had sons also remained in the family business except Bob who initially went into aircraft engineering. While pursuing his career in the aircraft industry, woodworking was a hobby for Bob. This all came full circle once he retired four years ago and started to pick up the woodwork tools on a more regular basis. Bob believes the aircraft industry has been inspirational as he likes to bring elements of graceful flight and fluidity of airflow to his work and combine these with the contours of nature. Arid Timber Art has grown at a rapid pace and has even expanded overseas. Bob has had requests from Scotland, London and America after people have taken his products as gifts overseas for loved ones. 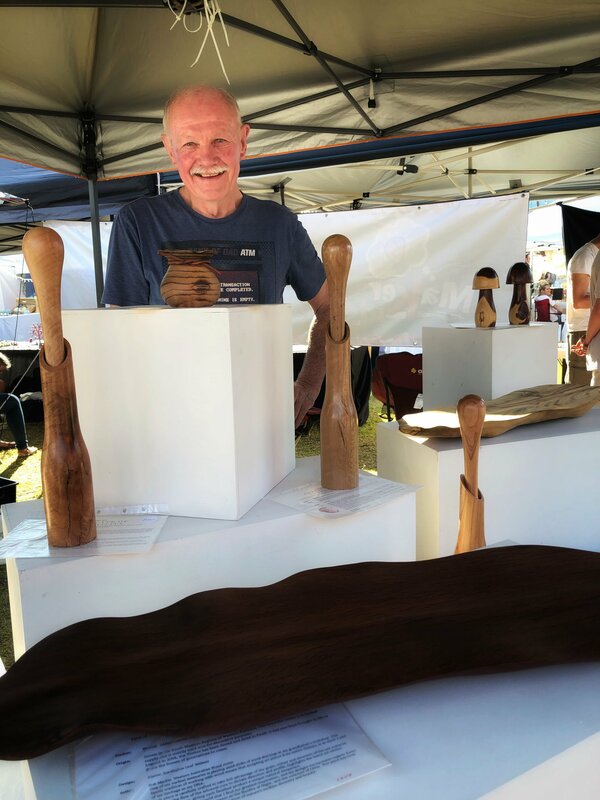 Locally, Bob stocks his products in The Artisan Store Fremantle, Forest Heritage Center in Dwellingup and Gallery 152 in York, and of course you can find him at a number of Perth Makers Market events. The main products Bob is inundated with requests for are his salt and pepper grinders and his leaf platters. This leaf platter is so magnificent that at the QV1 x Perth Makers Market event last December, Bob was approached by a member of Chevron to custom make a leaf platter to gift to the CEO. 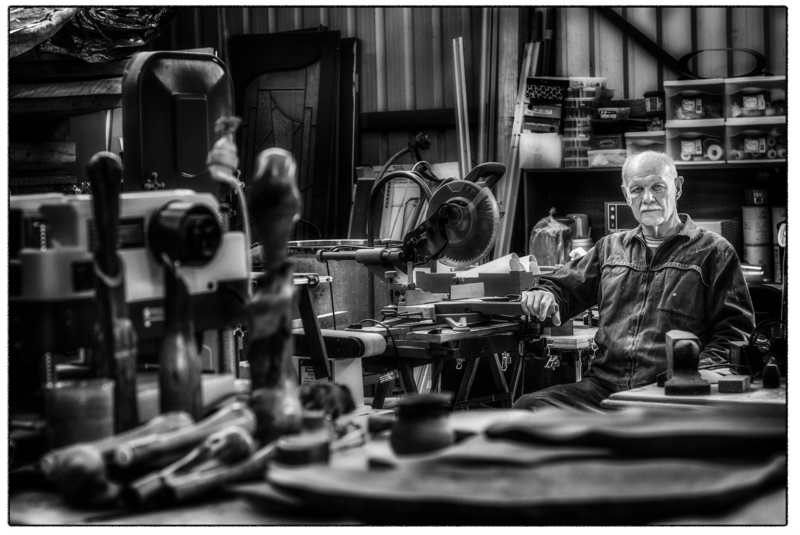 While Bob enjoys creating his products for people’s homes, he has an exciting new adventure ahead in the form of an exhibition. The exhibition will take place in September and Bob has a very intriguing artwork that is formulated around the concept on how humans are essentially destroying the earth. More information will be released closer to September. There is an element of history to the timber art that Bob creates. The beautiful arid timber he uses are often collected from fallen trees in the semi desert regions of Western Australia for their dense grain structures and mesmerising colours. Some timbers are collected from demolished period buildings, whose aged beauty and character of grain tell amazing stories of Western Australian settlement. Bob gives these timbers new life in a sustainable way that allows future generations to enjoy their beauty and encourage reflection on their history within our state. Bob's work really reflects the concept of handmade and the extent of love, care and meaning that goes into the product. 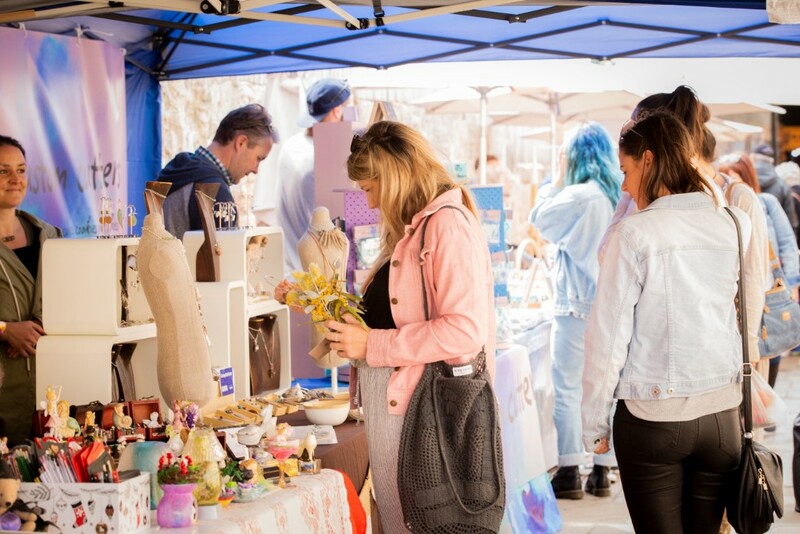 It is stories such as Bobs' that inspire Perth Makers Market to continue to provide and build a platform for local artists, creators and small businesses to share their passion with the people of Western Australia. Sunday, 24th of February from 9.30am to 3.30pm. Heathcote Cultural Precinct, 58 Duncraig Road, Applecross. For more information visit our website, Facebook or Instagram page.